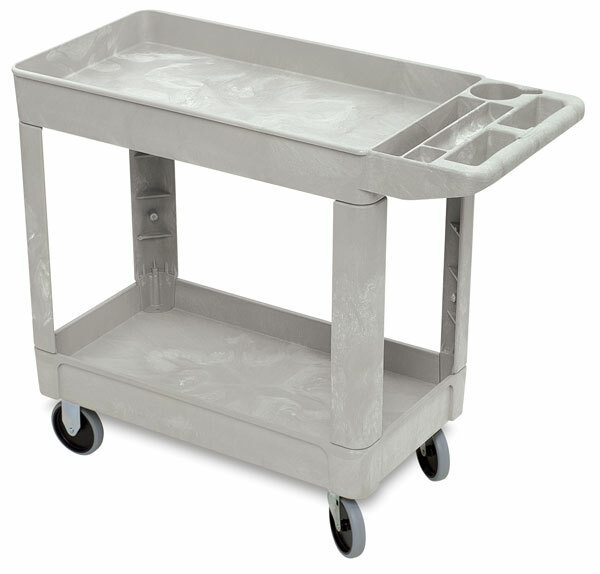 This cart's solid Duramold construction won't chip, dent, or flake. It never needs painting, and is easy to clean. There are no sharp edges to nick or scrape walls and doors. Two fixed wheels and two swivel casters. Load capacity is up to 400 lb. Beige.